Patty collects various recipes from past generations and is interested in early American History, the Civil War, and the 19th century. Individuals who need or want to cut their sugar intake have some better options now than in the 1970s. Back then, artificial sweeteners did not have consistently good flavors and consumers did not trust them after hearing media reports of links with cancer. Today, we have better choices. Natural sugars may be easier to digest for some consumers and some of today's artificial sweeteners are a good choice for weight loss, blood sugar control, and avoidance of dental cavities. There is no solid scientific evidence that any FDA-approved artificial sweeteners cause cancer or other serious health problems. What Are Some Sugar Free Sweeteners That I Will Like? Honey - Raw honey is touted as healthier than sugar. 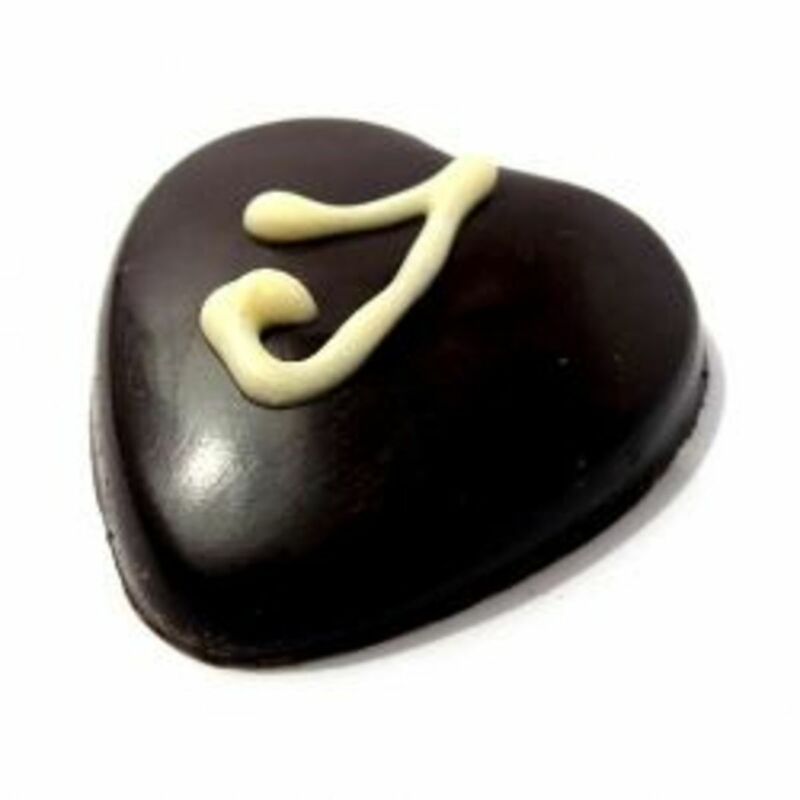 If you use it in the recipe below, it may result in chocolate that does not become completely set at room temperature. It may be runny. Reducing the amount of honey used will result in a firmer set, but less sweetness. Try about 1/4 cup raw honey in the recipe. 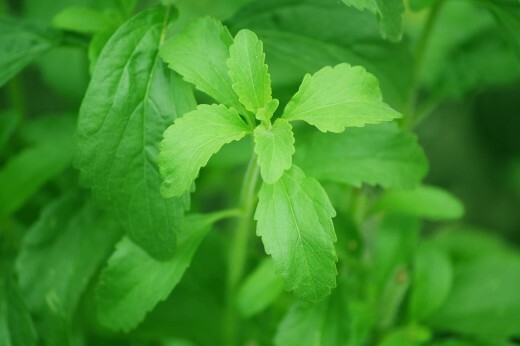 Stevia or Rebiana - This natural product is FDA approved in a refined formed in the US and widely available. it is my go-to sugar substitute and has several brand names. Sugar Twin® - I loved the flavor and texture this product gave to baked goods and puddings, but has become difficult to purchases except online. With the same ingredients as Sweet 'N' Low ("Pink"), Sugar Twin still tastes better. Xylitol - This substitute works well, but has a few side effects on the digestive systems of some consumers. It can be purchased for home kitchens. Sweetleaf stevia is a natural, zero-calorie, zero-carbohydrate, and non-glycemic response sweetener. This makes it ideal for diabetics and other who want to avoid sugar. Coca Cola is bringing back its original sugar sweetened beverage in some business markets around the USA and produce another version using both cane sugar and stevia. The sugar sweetened of Coke variety has been available in Mexico for many years and is found in Big Lots stores in America for about $1.00 for a 12-oz. bottle. 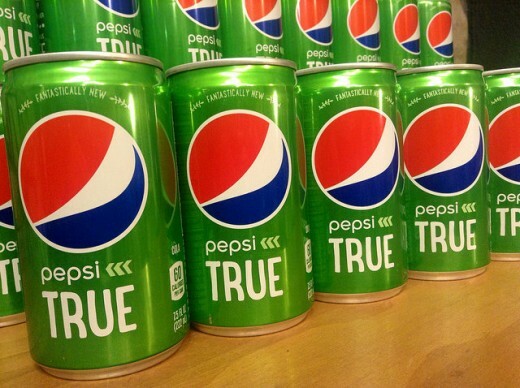 the public in Central Ohio is purchasing more of stevia sweetened cola than the Mexican cola. 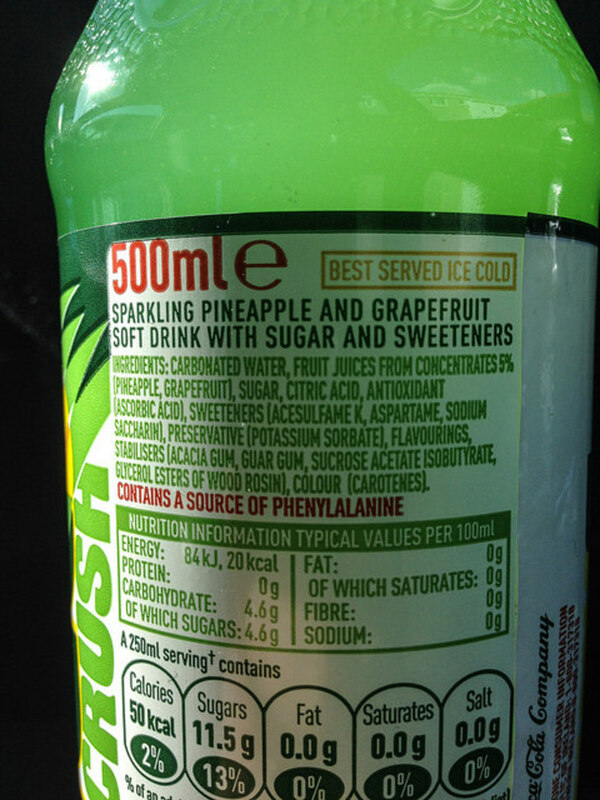 Similar to sugar and ends up as glucose and fructose in the body, just as does sugar. Honey contains small amounts of bacteria; do not feed to a child younger than one year. 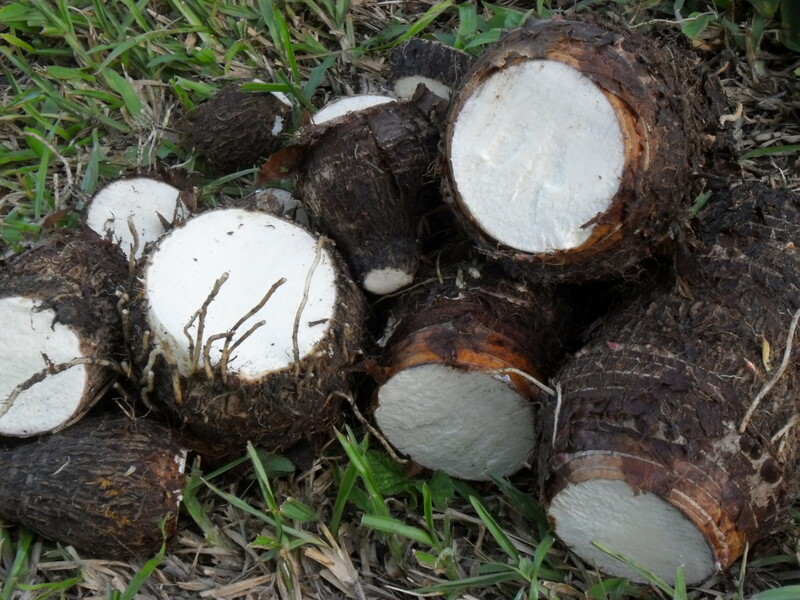 Natural and declared safe by the FDA. Difficult to find in many market areas. May cause some photosensitivy, headache, and nausea to those sensitive to it..
Sugar alcohols actually contain no aocohol, but can cause diarrhea in some consumers who ingest 10 - 50 grams at one sitting. Stevia Extract Product Approved by the FDA: This safe and good tasting stevia product has won 26 awards for quality of flavor and cooking innovation, including ChefsBest Excellence for multiple years and the Women's Choice awards. Of the alternative sweeteners I have found available in the USA, this stevia product is my favorite. It can be used anywhere table sugar is used. 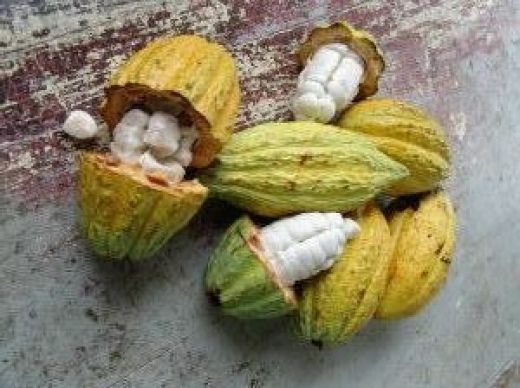 Purchase the main ingredient (raw cacao beans) from your grocer, local specialty markets, a candy supply stores, or online. Use stevia instead of sugar for a good tasting result. 6 to 9 Individual Packets of Sweetleaf Stevia, depending on sweetness desired. 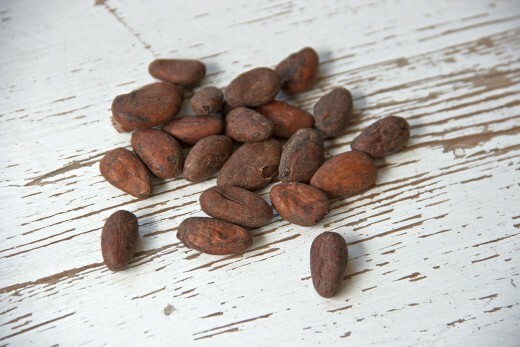 Roast the raw cacao beans as a single layer placed onto a cookie sheet for 30 minutes at 400 degrees F (204 C, Gas Mark 6 in UK). Remove the roasted beans from your oven and set the cookie sheet on top of a dry towel on the counter top to cool completely, about 20 minutes. They should smell good! 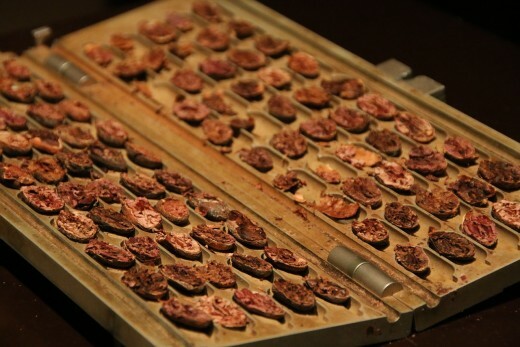 Using your fingers, peel off all of the husks (covering the actual shells) from the roasted beans. Using your fingers again, roll the husked beans on the counter top to begin to crack then shells, and then remove the shells. Break up the shelled beans by putting a small amount of them into a heavy, deep bowl and crushing them with a heavy instrument such as a pestle or the bottom of a very heavy drinking glass or a rolling pin that does not have handles. A clean hammer will also do, but you can wrap it in a clean cloth to make sure it is clean. Pour the crushed beans into a food mill and grind them to a medium sized grain. Any smaller, and they will become a slushy, dark sludge. This is why a food processor or a blender will not do. Put the grainy material into a larger bowl and place the bowl into a sink or an even larger bowl of hot water that is not deep enough to spill into the bowl of beans. Water will cause chocolate to separate. Keep mashing the bean substance with with something heavy and clean until the beans are smooth and rich looking. They should still be smelling good. Lastly, add your sweetener. Begin with 6 packets of Sweetleaf Stevia, stir, and taste. Add additional packets until you are satisieid with the sweetness level. Pour the final bean mixture into candy molds and let it set into solid chocolate, approximately 30 minutes or more. This may take longer in hot or humid weather and you may even need to refrigerate it for a bit. Remove the hardened candies from their molds and decorate them as you like, with any of a variety of artistic toppings: icings, sprinkles, drizzled fruit sauces, and more. How Do You Like This Recipe? When you add the sweetener, you can also add additional flavors including raspberry extract (my favorite), or a few drops of mint, orange, or lemon extract. Use bottled flavoring or fresh citrus zest, for instance, and mix well. 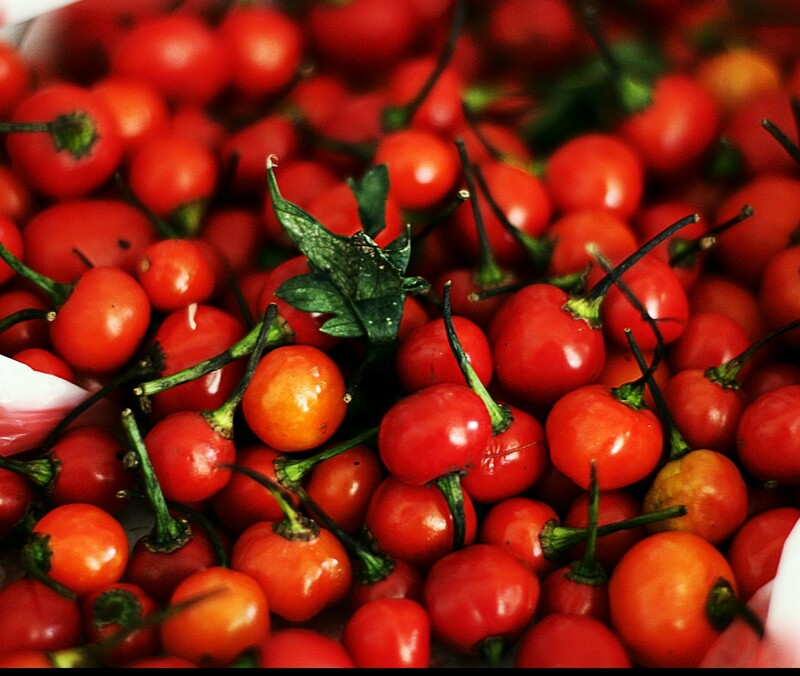 In Mexico and Central America, commercial chocolate mills often add cinnamon and/or dried chili peppers. 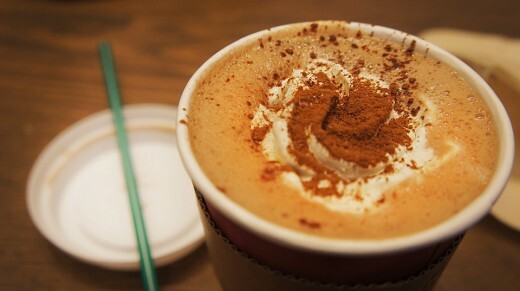 They like hot chocolate to be spicy in those countries and I agree! Yield: 2 or 3 servings. Note: I have seen this drink made with as many as seven varieties of "hot peppers." Place all ingredients into a medium sized sauce pan in the stove top over medium heat. Stir and simmer until well mixed and smooth. 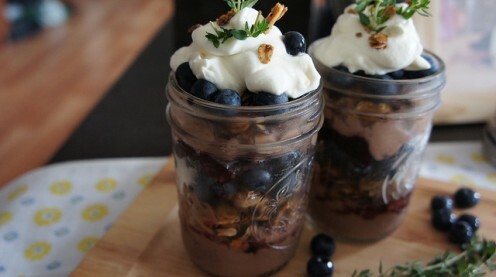 Pour into mugs and serve with any toppings that you like: whipped cream, shaved chocolate, or your favorites. 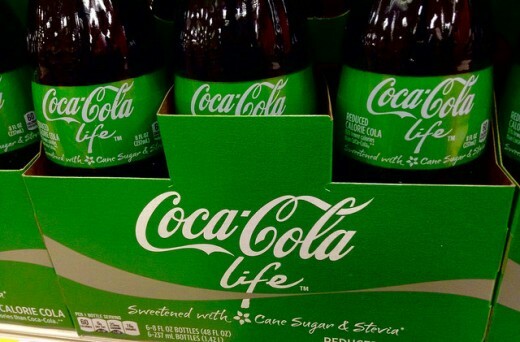 I really like using stevia and just found Coke Life with stevia at Kroger stores here, so I will try that soon. Usually, I like to use about 1/2 the sugar called for by a recipe (or a substitute), so I'm with you - "too sweet" is not a treat for me. Thanks for commenting! I just love chocolate, so this was a very helpful hub. Unfortunately, honey is also off my list of friendly foods, but the stevia is great and works well, so long as it is not overdone, as too sweet does not taste good. That sounds like a good idea and I will try it. I've used applesauce for that reason, but the prune puree would yield a richer mix. Thanks! I don't trust artificial sweeteners, personally, but I've found success with using prune puree as a substitute for both sugar and a portion of the fat in many of my baking projects. @Rachel - Spicy hot chocolate is good if you like a little kick. 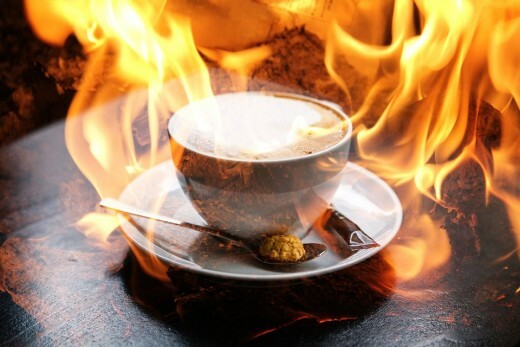 Some people like to use the spices in coffee, but add some chocolate to that as well. That's a nice change. Hi Patty. This is awesome. I love chocolate like most people but now I can enjoy it without the sugar. I like Truvia myself. Not only the candy looks good but the parfait is mouth watering and the hot chocolate looks awesome too. Thanks for sharing. @teaches12345 - Nice comment! I try to avoid sugar since many of my friends are diabetic - that's a constant reminder. And, high fructose corn syrup upsets my stomach. So, stevia it is! You had me with the mention of chocolate! I loved the spicy recipe and its one I will enjoy for sure. This sugar-free dessert will keep me legal. Thank you for the great recipes and ideas. I use stevia, too, but I'd never thought of trying to grow it myself before. I must see if I can use it here. I've really enjoyed reading this hub. @vespawoolf - Xylitol does the same to me if I consume too much at once, so I also prefer stevia. 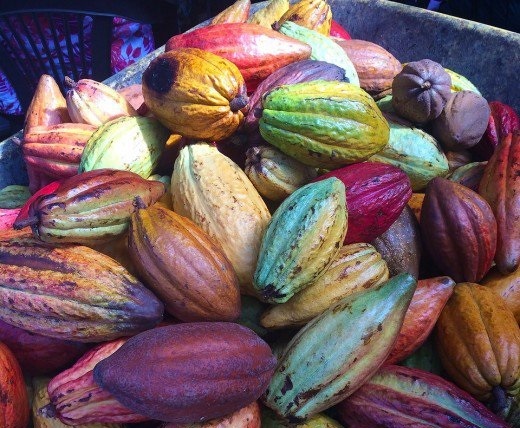 I often see cacao powder at Whole Foods and specialty markets and sometimes, even the beans. 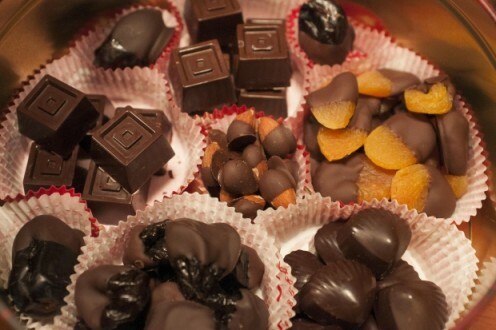 I'd never thought of making homemade chocolate. I try to reduce my sugar intake and saw that you can buy chocolate sweetened with stevia online, but it's so expensive. I prefer stevia of all the natural sweeteners. Xylitol gave me digestive issues. 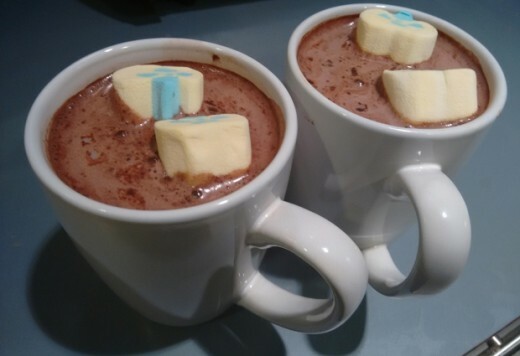 The hot chocolate recipe makes my mouth water. I'm going to see if I can get some cacao and give this a shot! Thank you! @MsDora - Once I did this base recipe a couple times, it went faster. For individual chocolates as an end result, some people take the base chocolate and temper it by rolling it around on a marble slab with spatulas to make it shiny (that's an oversimplification). That is where I might not have patience, but some people make lovely chocolate candies by adding tempering, better-looking than the manufacturers' brands. Aside from major current research I access, I was involved in nutritional, educational, and other research with 1000s of youth ages 14 - 21, a couple thousand adults 22 - 40s, and some older people. We found that many people had a little diarrhea from xylitol and an artificial fat used in some Pringles varieties. A few kids and a few dozen middle adults had a headache or two from saccharin. No problems with stevia among any of them. Now the really bad artificial sweeteners, I don't even mention. Many people are even allergic to them - me too! @Alekhouse - I like raw sugar, but the stevia is tasty to me. You make me want to have a Dove bar now! Making the base is a challenge, but worth it because I love chocolate. Stevia is also my my first choice among sugar substitutes. Thanks for these great suggestions and recipes. Hello Patty. It was tough just getting past the first photo with all those tempting treats. Sugar is our enemy, so anything that helps eliminate or reduce sugar in our diets is good news. 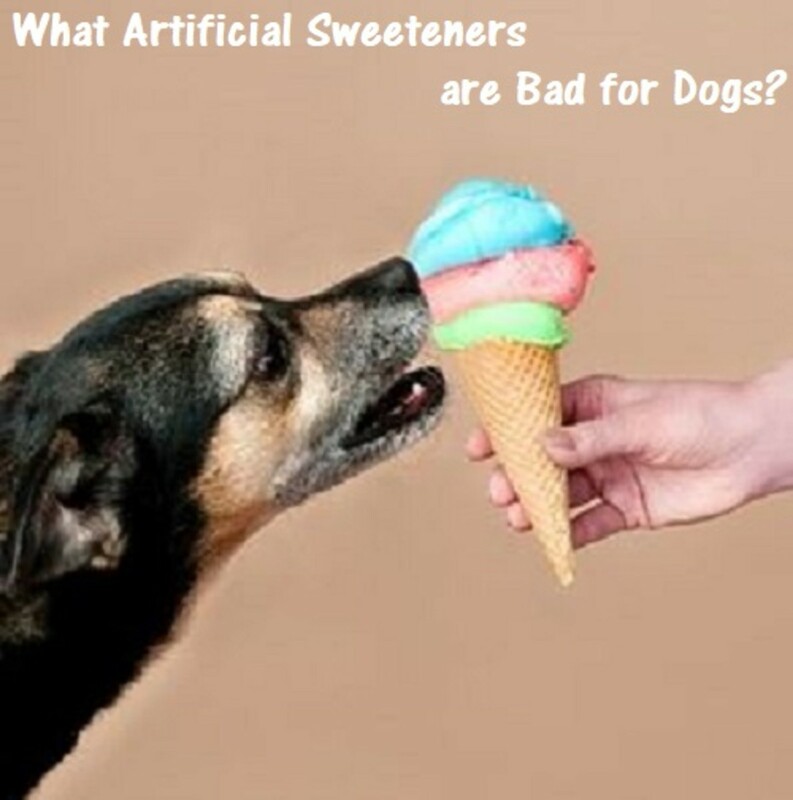 Terrible things are said about artificial sweetners, so I hope your research is correct about that. As always, you aim to inform, and be helpful. That is to be applauded. Although I prefer the real thing....sugar, that is, I must say this is an enticing hub. The picture at the top is so compelling, I had to run to the freezer and grab a mini Dove bar, covered in dark chocolate. Thanks for an interesting, and extremely well-written read. @Faith Reaper - The last time I had high fructose corn syrup in a small portion of a dessert, my own stomach was upset for two days, so no more of that! I do like honey, too -- There are so many flavors of honey out there now, that it might be exciting to try something new. @Rtalloni - That's a good suggestion to try Monk fruit sweetener and the coconut sugar as well. I will try them soon! The Coke Live tastes a little different, but better than Diet Coke, which tastes strange to me now. I would love to make the chocolate base with my grands and then use it in a recipe with them. :) A sweetener I've come to enjoy is Monk fruit. You might like to give it a try some time. Going to try coconut sugar next. Would like to taste the sugar/stevia Coca Cola some time. Oh, Patty, now you're talking my favorite subject! 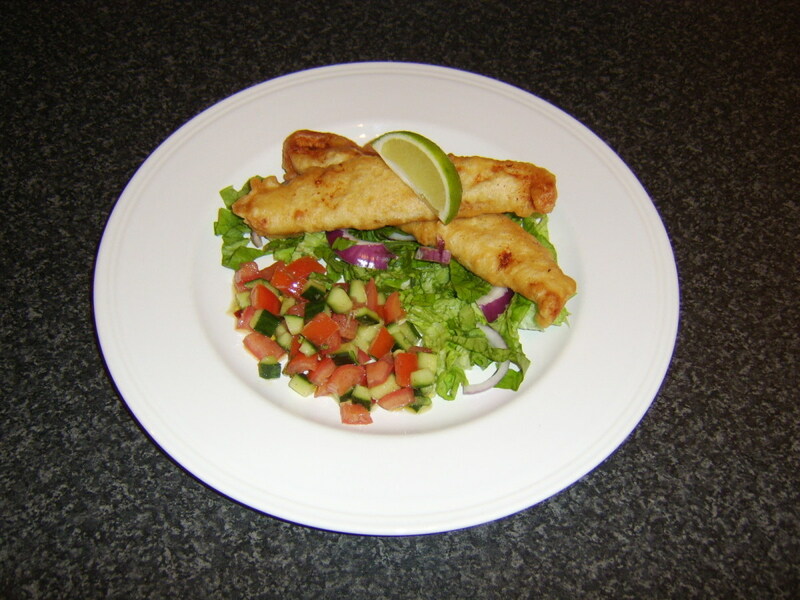 Thank you for sharing the great recipe. I like the natural sweeteners because the artificial ones tend to upset my stomach and my husband's too. We love honey, so there you go. I will share this wonderful hub everywhere. I am a chocolate fiend. Hahaha. I hope you try the recipe and let us know how it turns out with honey! Thanks for the nice comments.